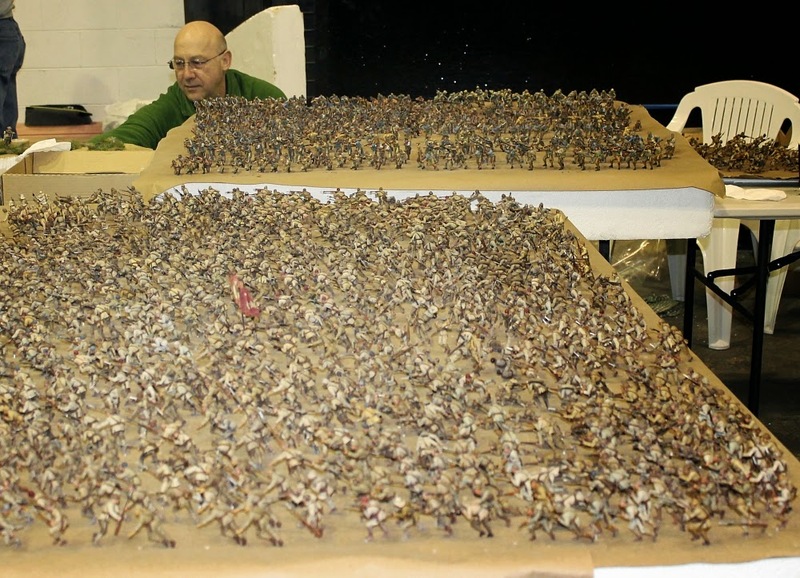 Saturday 11 April, 1300hrs: It's a hive of activity today at Weta Workshop today, as we work on the final touches before the massive Chunuk Bair diorama is opened to the public next weekend. 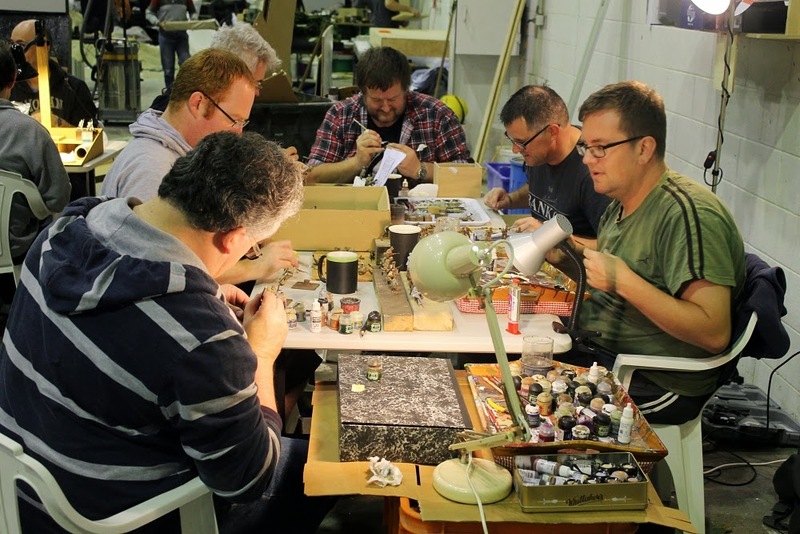 About 30 wargamers gathered this morning, and have been busy sorting figures, painting, air-brushing and gluing terrain. It's now lunch-break, so here are some pics of the morning's activity. Armchair General surveys just some of the masses of painted figures. One of the painting tables in full swing. 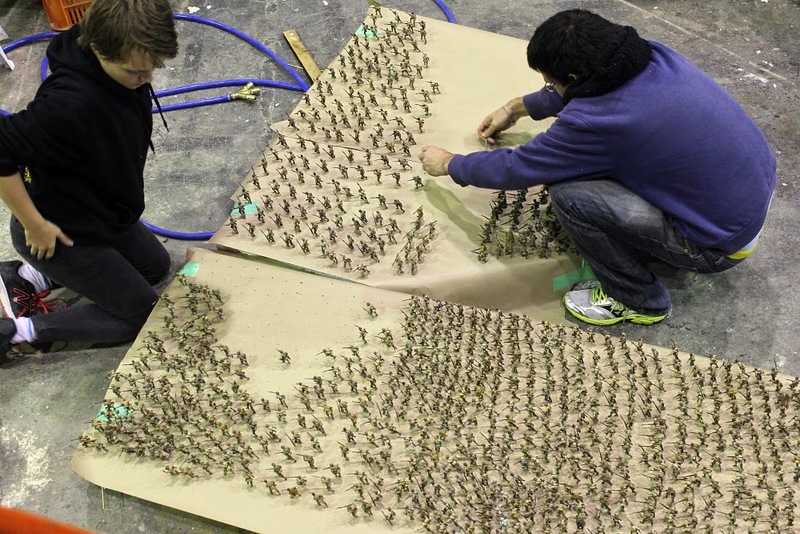 First lot of figures heading from Weta Workshop to the Dominion Museum. 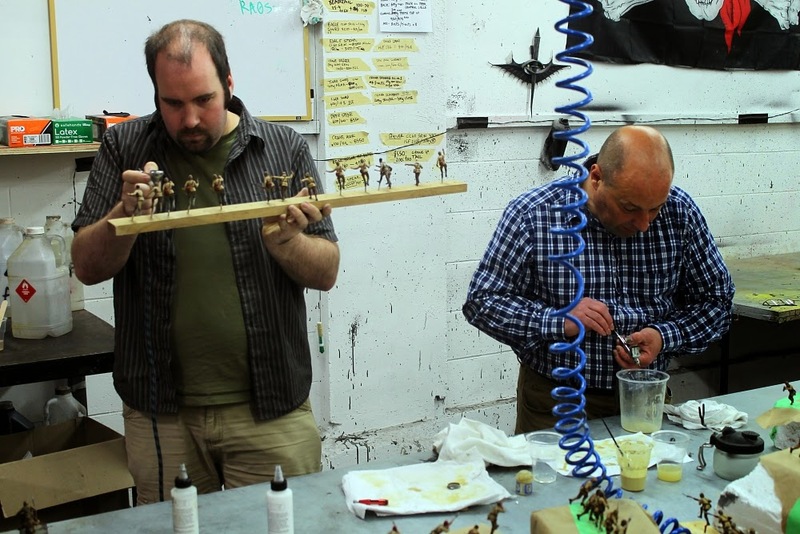 Air-brushing dust onto every single figure's boots. Another painting table hard at work. Sorting out the figures into different poses. 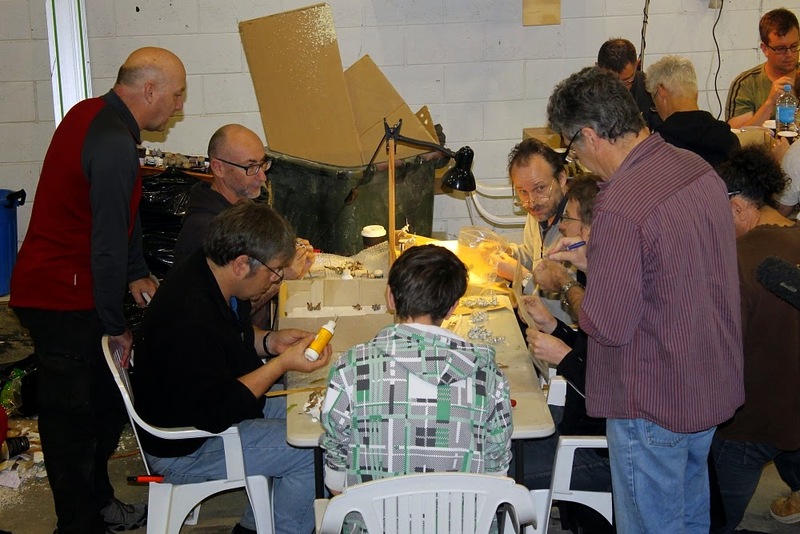 An action-filled scene - two painting tables, a sorting area, visiting media - as the title of this post says, a hive of activity!